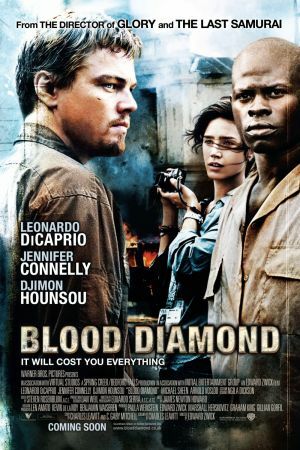 Set against the backdrop of the chaos and civil war that enveloped 1990s Sierra Leone, "Blood Diamond" is the story of Danny Archer (Leonardo DiCaprio), an ex-mercenary from Zimbabwe, and Solomon Vandy (Djimon Hounsou), a Mende fisherman. Both men are African, but their histories and their circumstances are as different as any can be until their fates become joined in a common quest to recover a rare pink diamond, the kind of stone that can transform a life ... or end it. Solomon, who has been taken from his family and forced to work in the diamond fields, finds the extraordinary gem and hides it at great risk, knowing if he is discovered, he will be killed instantly. But he also knows the diamond could not only provide the means to save his wife and daughters from a life as refugees but also help rescue his son, Dia, from an even worse fate as a child soldier. Archer, who has made his living trading diamonds for arms, learns of Solomon's hidden stone while in prison for smuggling. He knows a diamond like this is a once-in-a-lifetime find -- valuable enough to be his ticket out of Africa and away from the cycle of violence and corruption in which he has been a willing player. Enter Maddy Bowen (Jennifer Connelly), an idealistic American journalist who is in Sierra Leone to uncover the truth behind conflict diamonds, exposing the complicity of diamond industry leaders who have chosen profits over principles. Maddy seeks out Archer as a source for her article, but soon finds it is he who needs her even more. With Maddy's help, Archer and Solomon embark on a dangerous trek through rebel territory. Archer needs Solomon to find and recover the valuable pink diamond, but Solomon seeks something far more precious ... his son. 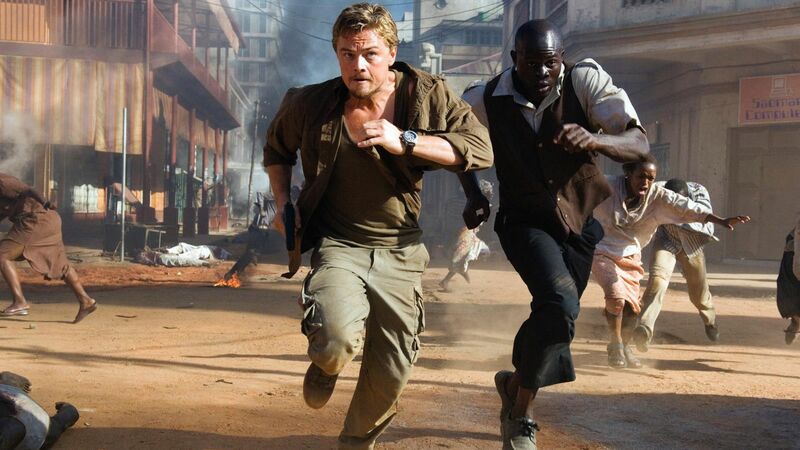 Directed by Edward Zwick, the action drama "Blood Diamond" stars Academy Award nominee Leonardo DiCaprio ("The Aviator"), Academy Award winner Jennifer Connelly ("A Beautiful Mind") and Academy Award nominee Djimon Hounsou ("In America"). The screenplay was written by Charles Leavitt, from a story by Leavitt and C. Gaby Mitchell. The film also stars Michael Sheen, Arnold Vosloo, David Harewood, Basil Wallace and introduces Kagiso Kuypers as Dia.